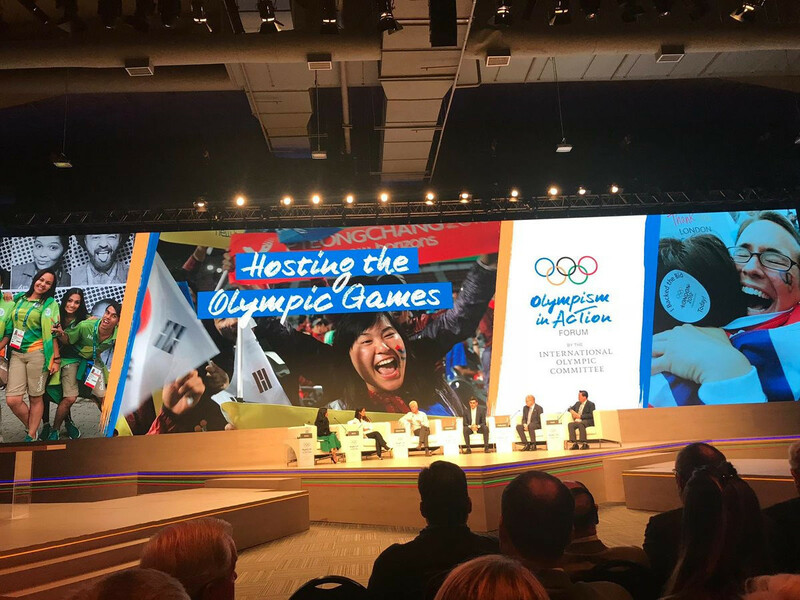 Dempsey, who successfully led efforts that forced the American city scrap their 2024 candidacy, was part of a panel titled "Hosting the Olympic Games: City Perspectives” on the opening day of the Olympism in Action Forum here today. Dempsey claimed Boston’s main opposition to hosting the Olympics was the IOC’s "incentive structure", claiming it had led to cost overruns in every Games since Rome 1960. "They ask cities to host their three-week party and for those cities to take on all of the risk," Dempsey said. "It is true that the IOC writes you a cheque when you agree to host the Games, they are writing it to the tune of maybe a billion dollars for a party they want you to throw that is going to cost between $10 billion (£7.5 billion/€9 billion) and $15 billion (£11.5 billion/€13 billion). "It has led to the incentive structure that has led to every single Olympics since 1960 having a cost overrun. "We can talk about Los Angeles in 1984, that reveals this incentive structure. "Los Angeles was the only city bidding for the Games, which reversed that typical auction. "Los Angeles had all the power and were able to say to the IOC we are not going to build a new stadium and eliminate the taxpayer guarantee. "That is why so many Bostonians joined us." Dempsey warned the Olympic Games can formed a distraction for cities from projects that the population would rather public officials focused on. He added that previous reform programmes have been promoted by the IOC, leaving him unconvinced the recent efforts at change would ultimately result in change. The IOC has claimed that $4.3 billion (£3.3 billion/€3.7 billion) in savings have so far been achieved for Tokyo 2020 through Agenda 2020 and the New Norm. Dempsey, though, claimed the fundamental issue had not been resolved. "The Olympics become an enormous distraction for public leaders from important things that real citizens want improved in their city – their schools, their roads," Dempsey said. "It turns out a three-week event is a really bad way to do this. "The IOC pulling cities in one way, the bidding cities in the middle and the public are after long-term benefits. "The IOC would like to say that these things are compatible. "The reforms are marketing by the IOC which says they are saving money in those location. "I am not seeing any evidence in the New Norms that the IOC has fundamentally changed. "The reforms are allowing them to point to a certain location or venue and say they are making savings, but I do not see any fundamental change in the incentives that the IOC has in place." The New Norm reforms consist of a set of 118 measures in an attempt to cut as much as $1 billion (£718 million/€806 million) from the costs of staging a Summer Olympic Games and $500 million (£359 million/€403 million) for the Winter edition. Both Agenda 2020 and the New Norm are claimed to have provided the city with more flexibility when putting together a bid plan for the Games, ultimately leading to better legacies and less costly Games for cities. Lord Paul Deighton, former chief executive of London 2012, suggested the reforms had shown there was willingness from the IOC to change. Deighton claimed the reforms would only prove successful if a "significant behavioural adjustment" takes place. "I do detect a real change in attitude," he said. "We spent a lot of our time negotiating with the IOC over seven years to allow us some flexibility to get this really hard thing done. "If the New Norm is to work the model needs to be flipped on its head. "The city has to say, as part of our long-term plan, this is how the Olympic Games can fit in and all the criteria should be based upon the long-term development of the city. "If the model flips and the IOC say we are only going to give the Games to cities who will deliver according to this new approach then I think the Olympic Movement is in great shape. "I think there needs to be a very significant behavioural adjustment from everyone involved, but I do sense that is what they want to do." Deighton referenced Ken Livingstone, the former Mayor of London, as an example of a politician realising the potential of the Olympic Games. He revealed that Livingstone realised that Games could help secure Government funding and investment to deliver projects that would not otherwise be backed. "Politicians and Government need to have a real vision that is long term enough and thoughtful enough which can take advantage of the opportunity of the Games," Deighton said. "Ken knew that it was the only way he was going to get central Government development money to regenerate the east end of London and he was right." Deighton claimed the Games had also provided the "single most unifying event in our lifetime" to bring people together, highlighting both the impact the Games could have on the population and confidence it could bring the city. John Furlong, chief executive of Vancouver 2010, backed the assertion claiming the Winter Olympics had provided the Canadian city with the confidence that it can achieve and hold major events, citing the Women’s World Cup as an example. He also claimed the IOC had impressed on the city the importance of a sustainable plan, asserting that all but one of the venues for the Games had lived up to the expectations set by the local organisers.